The shrine of Our Lady of the Island is a semi-secluded property in Eastern Long Island, located near Manorville, New York. In addition to visit the shrine, you can enjoy the views of Long Island that are far removed from the bustling city. 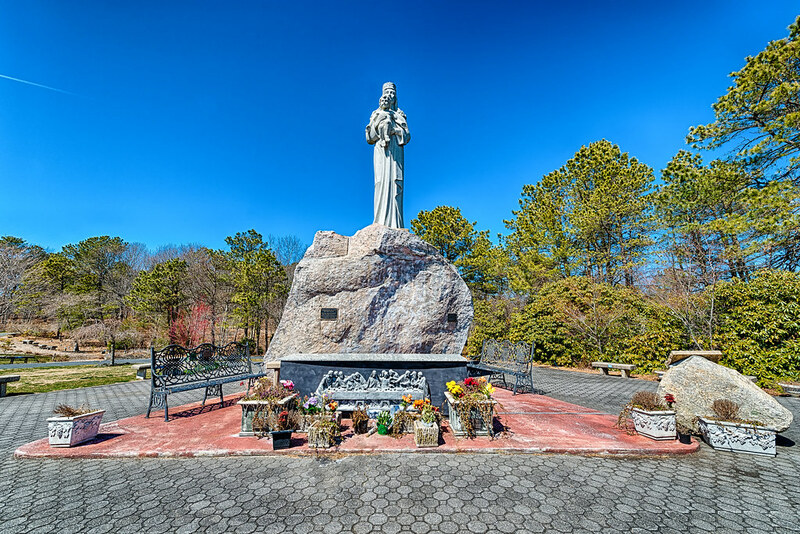 Personally, I believe that a visit to this shrine should be a top priority for Catholics living in the Long Island area. You can participate in a Rosary Walk, enjoy the 80-ft statue of the Blessed Mother with the infant Jesus, and explore other nature trails. Near the welcome center, you can adore the Blessed Sacrament and tour the Mass Chapel. Even if you stop for but a moment, the Shrine is a beautiful place to enrich your Catholic faith.